Retirement is a reality and you will not be able to make it go away. There will be a day when you stop working and your regular monthly income will stop. However, your expenses will not stop when you retire. If anything, it will only go up primarily because of the increase in the inflation rate. Furthermore, as you age, your health may deteriorate. As a result, your expenses towards healthcare may increase after you retire. Therefore, it is imperative that you start saving early in your life to reduce your burden as you reach closer to your retirement age. 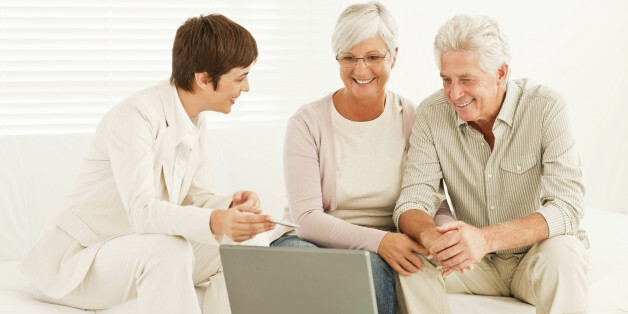 Retirement planning is crucial if you want to achieve financial freedom in your golden years. Several financial instruments are available that go a long way in helping you build the retirement corpus. Equity investing may be helpful to build a good retirement corpus. Historically, equities have delivered the highest returns over the long-term when compared to most other investment options. However, stock investing is risky and you may not be willing to assume higher risks. Here are three instruments that help you save for retirement without assuming high-risks. Several insurance companies offer retirement plans that offer guaranteed income after you retire. However, the monthly income in the future would be very low and often inadequate to meet your expenses. Furthermore, you may have to avail larger sum assured to avail higher monthly income. For example, the annual premium on an endowment policy that offers INR 10 crore after 30 years maybe INR 12 lakh. You may not have such an exorbitant surplus amount each year. Key pension schemes include public provident fund (PPF), employee provident fund (EPF), and national pension scheme (NPS). You may invest in one or more of these schemes until you retire. On maturity, you will be able to accumulate a decent corpus, which may be used to buy an annuity plan to earn regular inflows. However, the returns on pension schemes are not very high. As discussed, equity investing entails high risks. On the other hand, fixed income plans deliver lower returns, which may be less than the inflation increase. Mutual funds are an excellent option to achieve good returns (exceeding fixed income plans) without the high risks related to stocks. These funds are professionally managed and invest the corpus in different asset classes comprising debt and equity. You may invest a lump sum or through a systematic investment plan (SIP). Such plans allow you to invest a smaller amount (as low as INR 500) at regular intervals in mutual funds. Here is how you may maximize your returns through SIP investments. Systematic plans allow you to increase the installment amount. It is recommended that you increase the same as per the rise of your income. Even a small increase of 10% may significantly contribute towards building a retirement corpus. Investing in SIPs is not a one-time activity. You must periodically review the performance of the funds to ensure the returns are in line with your requirements. It is important you modify your investments as per changing conditions. Lifestyle changes are also beneficial in increasing your savings. Making small changes increases the amount you are able to save. This may be further invested in a systematic plan to build a good retirement nest egg.